Nouns (success), verbs (succeed), adjectives (successful), adverbs (successfully) and interjections (wow!) are sub-grouped into content words, namely, words that provide the concepts and ideas underlying the sentence. Content words are constantly being added to or removed from the language (an open word class), as changing usage patterns influence dynamic changes in a language's vocabulary. Conversely, Determiners (the), pronouns (we), prepositions (at) and conjunctions (and) are sub-grouped into structure words, whose number almost always stays constant in a language (closed word class). These are words that tie the content words together into a grammatically correct sentence and reflect the inner grammar rules of the language structure. These, as opposed to content words, change very slowly, if at all, throughout a language's history. It is vital for any English writer to be familiar with the parts of speech in order to have the terminology to study and analyze the language and identify mistakes in writing. Moreover, a word can function as a different part of speech depending on its role in the sentence structure (the terms of which are also vital for successful writing). This affects the word's meaning and structure, making it important to confirm whether you are using the correct part of speech in the correct position in the sentence. The defendant's lawyers object to any claims made by the prosecution. 1. A Noun is a word that names a person (teacher), thing (pencil), animal (cat), place (Paris) or abstract idea (love). As practically anything in the universe has a name, and as there are many things in the universe, nouns comprise the largest group of words in English (about 65%). Nouns name common everyday objects such as pen, through to general conditions such as friendship, all the way to the most technical terminology for the tiniest part of a jet engine. 2. A test for nouns: A good way to identify a noun when a word is in doubt is to ask, Can I have it? You can have success but you can't have succeed. This means success is a noun and succeed is a different part of speech, in this case, a verb. 1. A verb is a word that expresses an action (to run), occurrence (to happen), or state of being (to appear). Verbs comprise the third largest group of words in English (about 10%) and appear in any sentence as a major mandatory element tying the subject and predicate together. Verbs also indicate time (past, present, future) and are used with many verb tenses. The verb can be thought of as the center, heart, or anchor of an English sentence. action Maria dances at the studio and performs every Sunday. occurrence Maria became a professional dancer. state of being Maria's studio has stood there ever since she was a child. 2. Tests for verbs: A good way to identify a verb when a word is in doubt is to ask, "Can I do it?" I can succeed (do it) is correct, but I can success is incorrect. This means succeed is a verb and the related part of speech success is not a verb; in this case, success is a noun. 1. An adjective is a word that modifies (describes) a noun or pronoun. Adjectives comprise the second largest group of words in English (about 23%). Adjectives inform about the qualities and features of people, things or concepts (big, strong, beautiful, sensitive) and can be considered as an added intensifier or even "decoration" to the required basic sentence elements, adding variety and liveliness. Adjectives can also be expanded into adjective clauses, which function similarly. In the following examples, the adjectives are underlined and the nouns or pronouns they modify are in bold. He was happy when he moved to his new house. 2. A test for adjectives: A good way to identify an adjective when a word is in doubt is to ask about the modified noun, What kind of (noun) is it? He is a successful businessman is correct, as successful answers What kind of businessman is he? He is a successfully businessman is incorrect as successfully answers "How" and not "What kind of". This means successful is an adjective and successfully is a different part of speech, in this case, an adverb. 1. An adverb is a type of word that has many uses in English. It can modify (describe) a verb, an adjective, another adverb, or a whole sentence (composed from at least an independent clause). 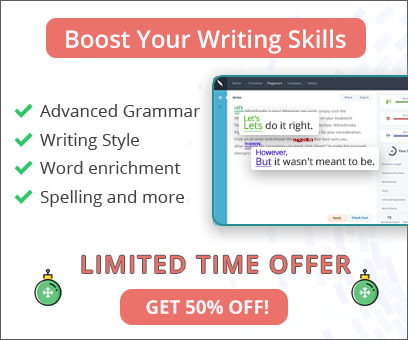 Adverbs (quickly, here, now, always, very, obviously) can be considered as added intensifiers or even "decoration" to the required basic sentence elements, supplementing them with important pieces of information. Adverbs also appear in multi-word phrases and can also be expanded into adverbial clauses which function similarly. 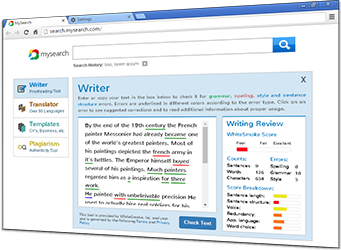 In the following examples, the adverbs are underlined and the elements they modify are in bold. The new typist works quickly and well. The new typist is extremely busy. The new typist works very quickly. Fortunately, the new typist works well. 3. A test for adverbs: A good way to identify an adverb when a word or phrase is in doubt is to ask one of the questions presented in bold in the adverb type table above. If the word or phrase answers the question, then it functions as an adverb. An interjection is a word or expression that conveys a strong emotion, such as surprise, joy or disgust. It usually appears in dialogues and informal writing settings, as more formal writing settings, such as academia or business warrant an objective formal writing style. Interjections are usually used with an exclamation point (!) or set off with comma. Oh, I forgot all about the game last night. articles The teacher asked a student to answer the question. demonstrative These students got this grade on the test. quantifiers Many got an average grade, some got a pass, and few excelled. interrogative What answer was written the best? numerical The fourth section in the second test was very easy. possessive His grade was lower than her grade. relative We know which test was copied. personal I remember her helping us with our problems, not yours. demonstrative Those are my favorite, but these are good too. reflexive They did it themselves. I saw it myself. relative The man who lives next door borrowed the book that you lent me. reciprocal We like talking to each other. indefinite Everybody comes to the party, each and every one. A preposition is a word that conveys relationships between other words, usually in time, place or direction. Prepositions are an integral part of many expressions with verbs and adjectives, and also of idioms. They should always be learned together with the expression they are part of, as their use cannot always be predicted. A prepositional phrase contains the preposition and the words it modifies. time on Sunday, in the summer, at 5 o'clock. A conjunction is a word that connects other words, phrases and clauses reflecting some kind of logical relationship between the connected elements (addition, illustration, cause, effect, contrast etc.). Conjunctions connecting two elements of equal weight are coordinating conjunctions, and those which introduce dependent clauses are subordinating conjunctions.